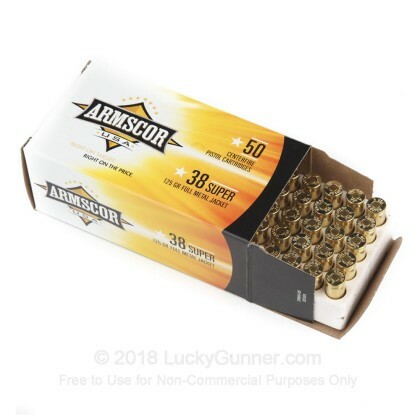 This highly regarded ammunition is competitively priced, made of quality components and is new production, non-corrosive, in boxer primed, reloadable brass cases. found it to be a good value and worked reliably in both of my supers. 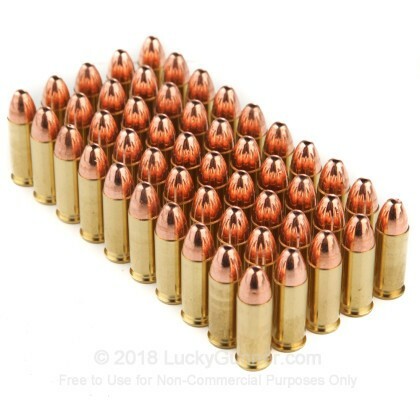 luckygunner has been very easy to use and has more in stock than most other ammo sites. Great buy. Bought these for my Rock Island Armory 1911 38 Super and it works like a charm. First magazine had no problem whatsoever. Price very reasonable. Struggled a lot to find this ammo, especially in California. Excellent buy, will be ordering from here more often. I shot this for the first time and couldn't be more pleased. No malfunctions of any kind. Very accurate. I highly suggest it to anyone. Shot out of my Kimber Custom 2. 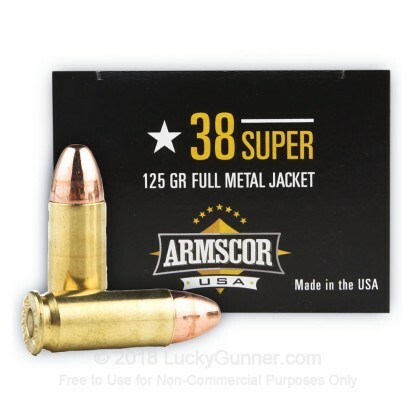 I ordered two boxes some time ago, and have been dealing with Armscor since. The only redeeming factor in this whole debacle is that Armscor refunded my purchase price and shipping... and they were very willing to do so. I shot a few rounds from the first box, until one exploded in the gun. Examining the shell, I found a small hole blown out of the shell near the primer. 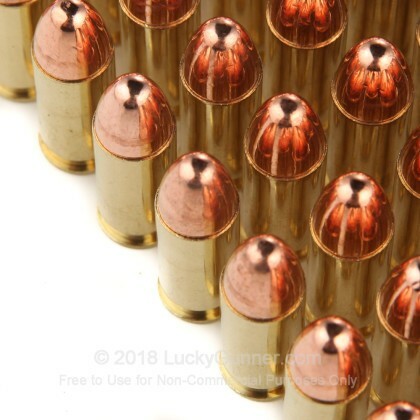 I sent my firearm back to Taurus for repairs - never did hear from them WHAT they did, but they did repair the .38 super. Thinking it might have been the one box - I took some shells from the second box out and the same thing happened. 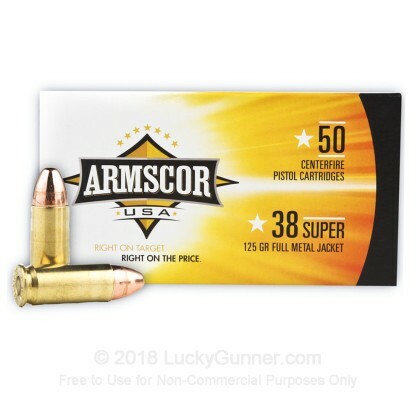 I shipped the shells back to Armscor's NV location and promptly received a refund. I'll not be ordering any more of these shells... the experience was too scary. 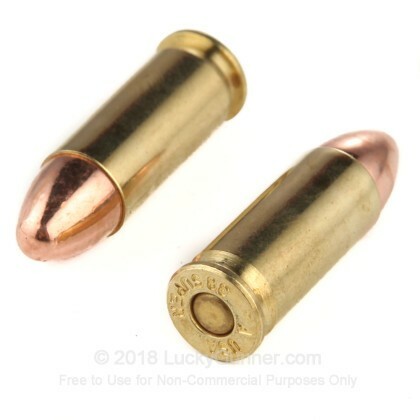 Ammo was acceptably priced, fired 12 rounds through newly purchased Taurus 38 Super semi-auto, no jams, no problems.